I do love my superfoods – Cacao nibs for breakfast? Yes please – and I love how they work from the inside out to make your body do all the good stuff it needs with a bit of boost, but now I’m looking for things to work outside-in and I’m finding my self turn to natural based skincare for my super-kick. The latest addition to my stash are these beauties from MyChelle* which you’ve seen around on the blog in my December and 2014 Favourites, but now it’s their time to shine in a standalone post as they’ve really made a mark in my skincare collection. MyChelle is all about being natural, green and eco-friendly, and I love that the brand is committed to cruelty free, vegan and gluten-free products to nourish the skin – everything I was looking for when needing a bit of summin’summin to keep my face fresh and clear. The one thing missing from my routine was a decent moisturiser that would be lightweight for the day but provide all the nourishment I’d need without making me feel greasy or caked in product. I’ve been pairing the Pure Harmony Cream* with the Advanced Argan Oil* for over a month now, and every day my skin feels soft, re-hydrated and pumped with all the good stuff it needs to either make my make-up sit better or my face glow on a bare skin day. The Pure Harmony Cream as I said is very lightweight, slightly thin in consistency but gives you a fresh feeling – especially with the subtle scent of cucumbers – that only needs a small amount to cover the face. It’s also a tinted yellow shade which helps to even out redness in the skin, and I have to say this is a massive bonus for when blemishes start to appear. For that added boost that you may need on drier or winter days, the Advanced Argan Oil adds a bit more consistency and extra essential fatty acids and Vitamin E to visibly enhance the complexion. I’ve heard lots about Baobab in the past few months too so expect a lovely texture to your skin after using this daily. My only qualm about the products – and it’s the tiniest qualm ever – is that the Argan Oil bottle doesn’t appear to close properly; after tightly twisting the lid on at night and leaving it to stand, come morning the lid is a bit looser and I’m scared one day I’ll pick it up and the bottle will drop er’ywhere to my horror. I haven’t popped it in a travel bag yet either so if it survives I’ll let you know ( It has been laying flat over-night and no spills, I think we’re okay ). Other than that, these products are on point with safe, sensitive and suitable-for-all skincare. If you have oily, combination or normal skin, then these two beauties will sit perfectly with you, but there is a whole range to explore for all types of skin – I have my eye on the Vitamin A Serum, Clear Skin Serum and Fruit Enzyme Mist – so whether you have sensitive, ageing, recovery or dry skin, there is a natural based pot of goodness for you to indulge in daily. Naturally, I love MyChelle. I love how light the moisturiser is, and the oil is great at balancing out my skin to give it equal amount of moisture whilst prevent excess oil production – win win all round I’d say. 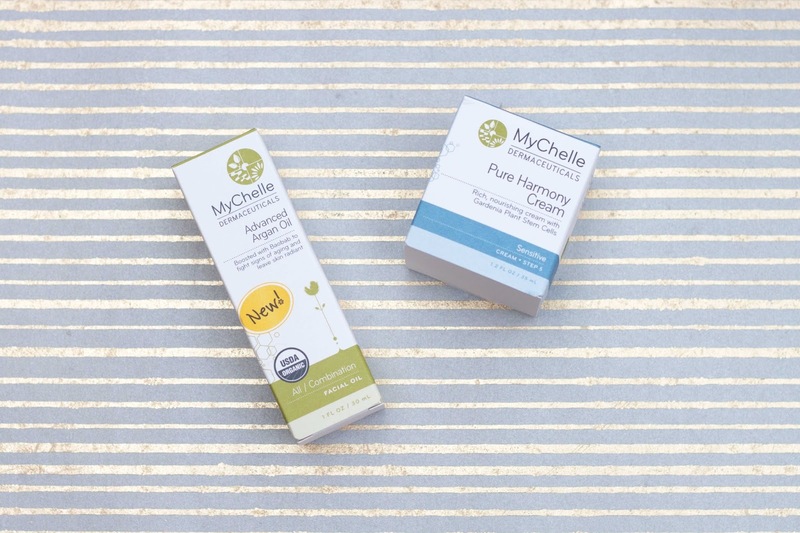 For kind to skin and kind to the Earth skincare, MyChelle will do it all. 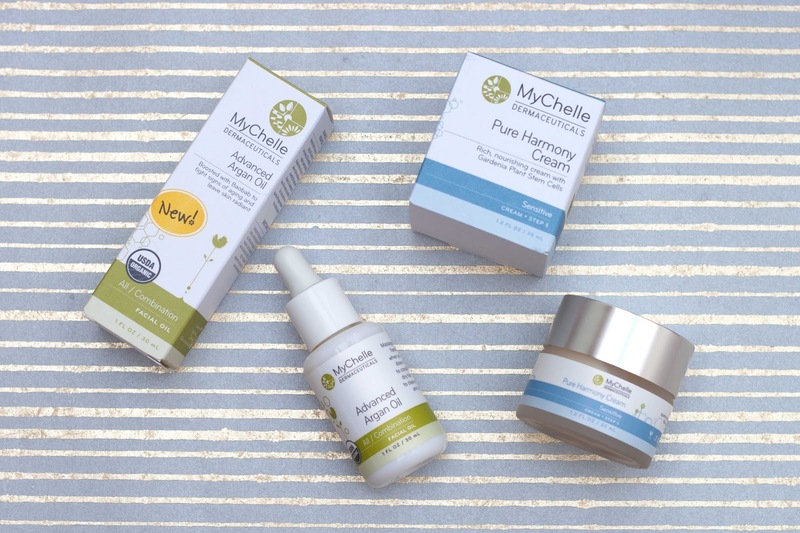 Have you tried MyChelle before? Do you like to use superfoods in your skincare or meals? Will you be using natural skincare this year? Next Post SO YOU WANT TO EAT HEALTHIER….